This ground breaking study was published in the journal Science, with an international team discovering how a vitamin called NAD+ was responsible for regulating the interactions that control DNA repair. When mice were given an NAD+ booster called NMN, their cells were much better at repairing DNA damage caused by radiation exposure and ageing. According to Harvard and UNSW professor Professor Sinclair, "Their DNA repair activities went up to youthful levels and they were more resistant to radiation and should therefore be more protected against cancer and ageing itself." This discovery has huge implications for the treatment of numerous diseases associated with DNA damage and old age. "For most of the 20th century we knew that our [cells' ability to repair DNA gets worse over time] and we get old and it's the main reason we get cancer ... So what we've discovered is the reason why." said Professor Sinclair, adding "Essentially every aspect of their ageing process that we looked at is reversed in about a week so we're very excited to see if this actually happens in people when we test it in the next couple of months." Human trials of NMN will begin almost immediately, with further studies set to take place in the USA and Australia. According to Professor Sinclair, we will "start looking at how fast people can walk, how strong they are and then eventually we want to get this molecule on the market as a drug to treat a disease like cancer, Alzheimer's or diabetes." Along with many diseases associated with ageing, this discovery could also help survivors of childhood cancers, many of who suffer from an accelerated ageing process. 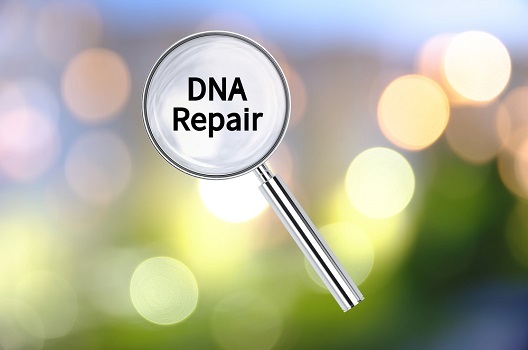 The links between NMN and DNA repair have even captured the attention of NASA, who are concerned about exposure to cosmic radiation in manned Mars missions. According to Dr Wu from the University of New South Wales, a trip to Mars would result in 5 percent of an astronauts' cells dying and an almost 100 percent chance of getting cancer. Instead of relying on thicker and thicker lead shielding on the outside of spacecraft, this study could lead to the development of more refined, drug-based solutions: "We've managed to get a contract through NASA and this therapy hopefully will be on the mission to Mars given those astronauts have to be in space for two years in each direction."